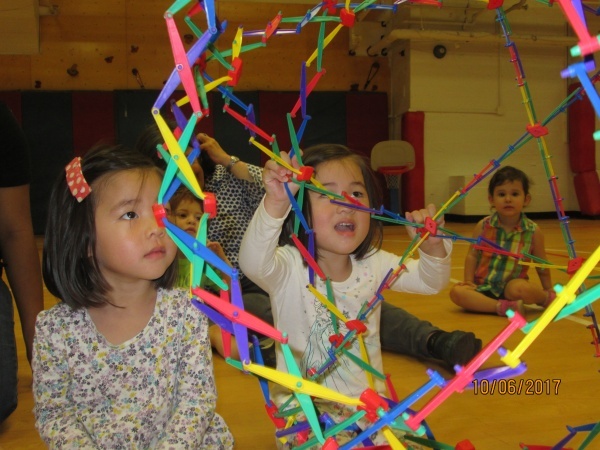 At the Cathedral Church of St. John the Divine 1047 Amsterdam Ave.
Parent-toddler classes – September to December and January to May Semesters. Small classes in a mixed aged setting. The key to a love of learning and school are based on successes and the social and emotional growth youngsters' experience. 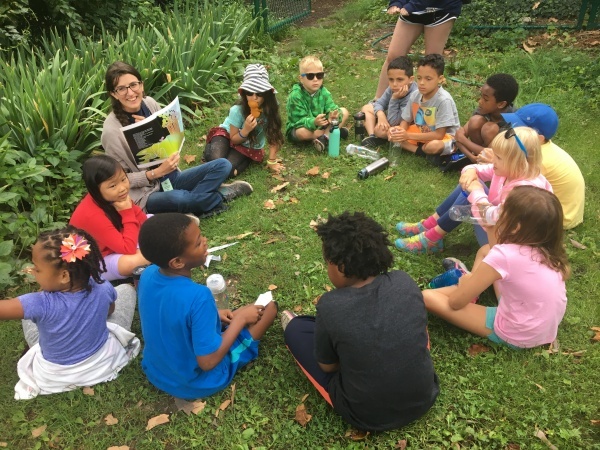 Through the introduction of basic values such as sharing and kindness and life skills, we foster competency, friendships, and social behavior that allow for productive learning. 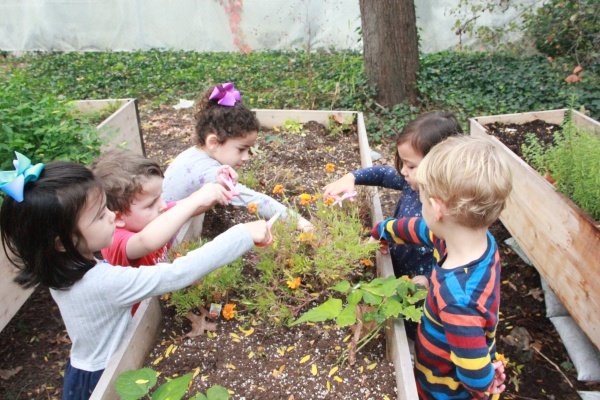 Children experience group and partnered activities ranging from dramatic play, singing, and group story-time to the physical exploration of our indoor and outdoor facilities. A balance of freedom and structure makes for a flexible, stimulating, and creative environment. The emotional wellspring created now will be there to draw on for all the Septembers to come. During the school year your child will master basic learning skills and habits, moving from activity to activity, making choices, taking out and putting away materials, listening to a group story, singing together, taking turns when talking, listening to each other and walking with a partner. 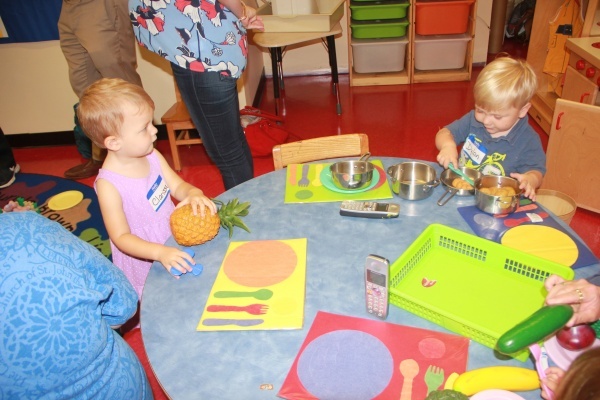 We also tackle life skills that young children can use to judge themselves capable and competent: wash hands, put on socks and shoes, don coats, hats and mittens, set out snack cups, plates and napkins, pour juice, pass food and wipe up spills. The long road to "academic readiness" is pursued without disturbing the relaxed pressure-free atmosphere of play so necessary to effective early childhood learning. 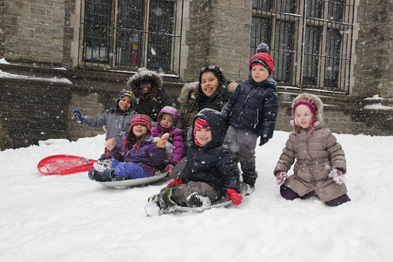 The Cathedral of St. John the Divine's 11 idyllic acres provide a natural outlet for your child's curiosity and desire to explore. Our goal is to ensure children learn to love learning through group and individualized experiences with an eye towards a establishing the basics for a successful school career beginning in kindergarten. With an emphasis on the unique world available on our campus, plant, rocks and animal life children experiment and discover. They study the squirrels and peacocks living on the grounds, observe leaf samples, analyze the behavior of worms, hermit crabs and classroom animals. Our multi-faceted classroom center areas are a focal point for interchange, learning and creative play. Rooms and hallways show results and are decorated with children's artwork, dictated stories, class-made graphs and charts, and illustrated songs and poems. Our other learning areas extend beyond the classroom which includes a spacious kitchen fit for baking projects and a fully matted gym perfect exercise and play. 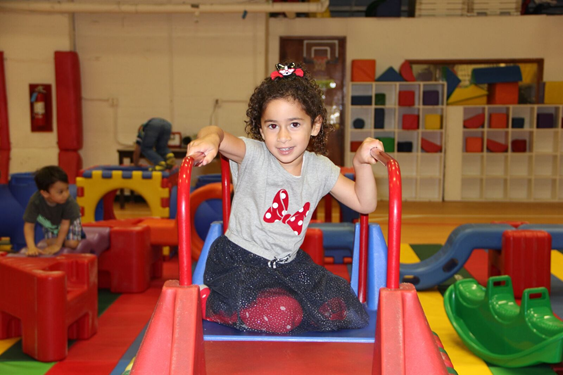 Equipped with slides, tunnels, tricycles, scooters, ride-on toys, a balance beam, soft blocks, balls of all kinds and sizes, hoops, hockey sticks, bowling pins and more, our gym provides children with the "outdoorsy" play they crave. The on-grounds playground features rubberized surfaces, climbers, and several standing spinners. KINDERGARTEN READINESS: Areas of Achievement and the Process. labeling, word cards, name cards, writing control, progress from straight vertical lines to more challenging lines. The A.C.T. 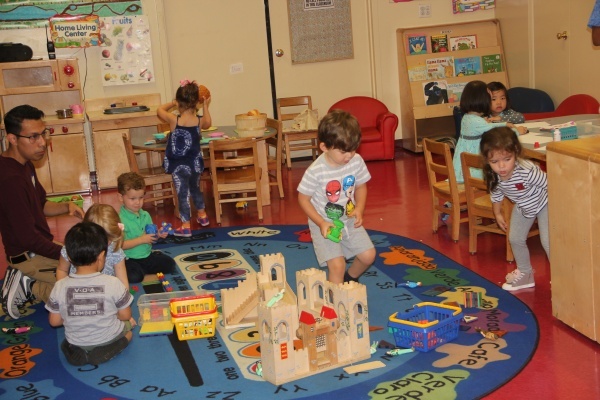 Nursery Program has been gently introducing children like yours to a world of learning since 1987. Taking a unique and individualized approach with each family, our first priority is to foster a sense of security and confidence in you and your child as he/she gains independence being at school on his/her own. For the young, small is beautiful. Our class of no more than fifteen-is kept that way to be certain there will be time to get to know-and nurture-each child. A small group and low teacher/child ratio makes it possible for a teacher to be there when children need help taking turns, playing together and resolving squabbles. It also gives us the freedom and flexibility to respond to individual needs and interests. Drop-off Option: Parents can drop-off their child for a specialized experience lead by seasoned teachers. 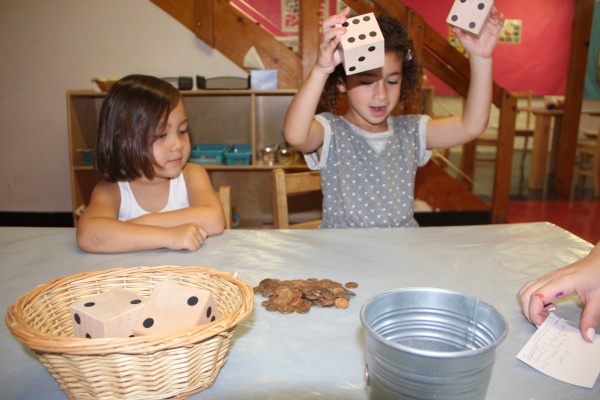 Our late afternoon classes focus on cognitive development in the areas of science, math and music. Students will learn to separate from parents and begin working with peers in small groups through hands-on teacher lead activities. Come for 2, 3 or all 5 days. Our child-friendly space and equipment encourage running, jumping, crawling, sliding, climbing, tumbling, and exploration of new places. Your toddler will revel in a freedom of movement important to his budding independence. 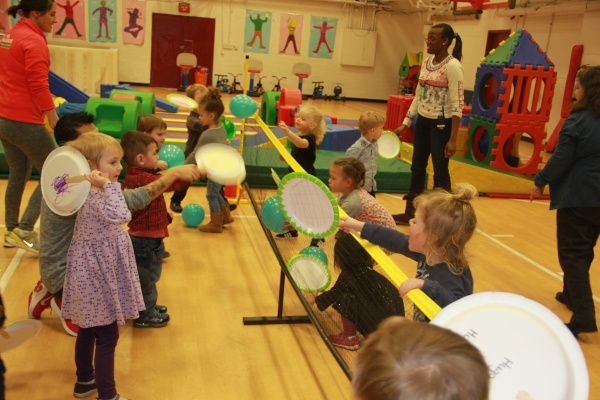 Youngsters, parents and caregivers sing, move to and make music, as well as play simple group games together during this most gentle introduction to group life. 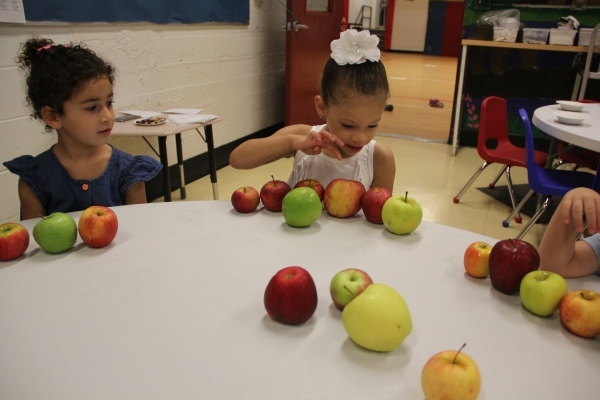 With the help of instructors, parents and caregivers, youngsters often create nutritious snacks for themselves. What could be better than watching your toddler mix and mash in a kitchen other than your own? Water, sand, blocks, paint, finger paints, shaving cream, crayons, glue, play dough and an array of educational toys are among the objects your toddler will be able to explore. Each week features an art project organized by our instructors. During fall and winter, A.C.T. Programs offers the Indoor Playstation, for children five years old and younger. 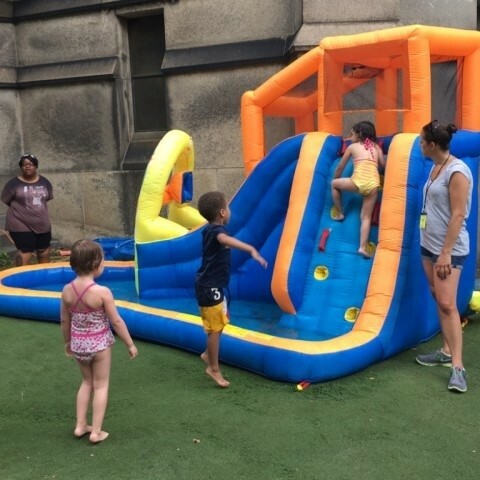 Playstation offers the chance to continue the fun experiences of the park in ACT warm and spacious gymnasium, complete with child-size equipment that includes slides, balls and places to crawl, all on a safe mat area. Parents or caregivers must accompany and stay with their children at Playstation. Come meet with old and new friends. The Playstation is open Monday through Thursday from noon to 3 PM. It is closed Friday and on weekends. Call our office for specific dates and selected holiday closings. 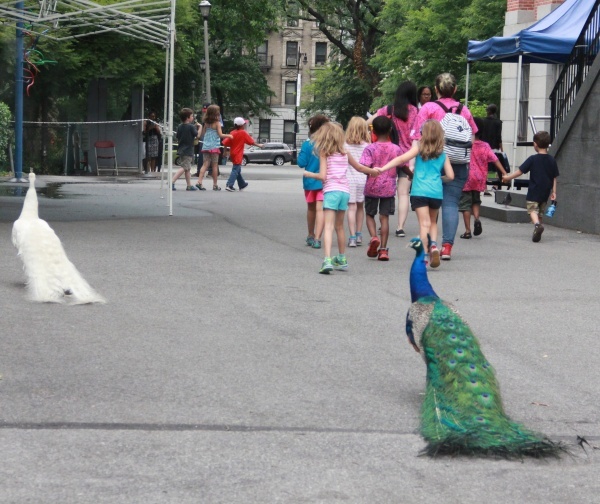 Young campers quickly notice the outdoor opportunities available to them. Small group activities within a flexible structure best describe the program day. The daily ACTivity schedule includes sports, art, music, storytelling, dance, gardening and water play in our aquatic area. A visit to the “mist zone” is a welcome respite on hot summer days when campers travel to “Big ACT” for special ACTivities and camp-wide programs. Founded in 1971, The Adults and Children in Trust (A.C.T.) 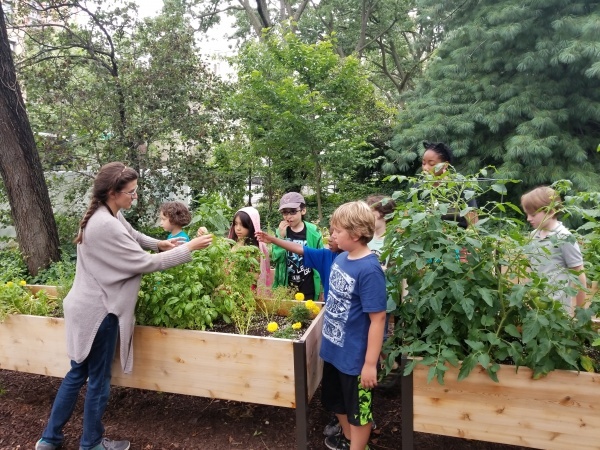 Program provides a safe haven where toddlers to teens from many faiths, cultures and economic backgrounds gather to learn, play and grow, as they participate in a broad range of programs among highly-trained and caring adults. Summer campers come to discover, explore, learn new skills and create while taking risks in a warm supportive diverse community that bring enjoyment while sharing the space with resident peacocks. The ACTion never stops as the daily schedule begins at 9:30 and ends at 4:00. Pre and Post-camp programs are available as well. 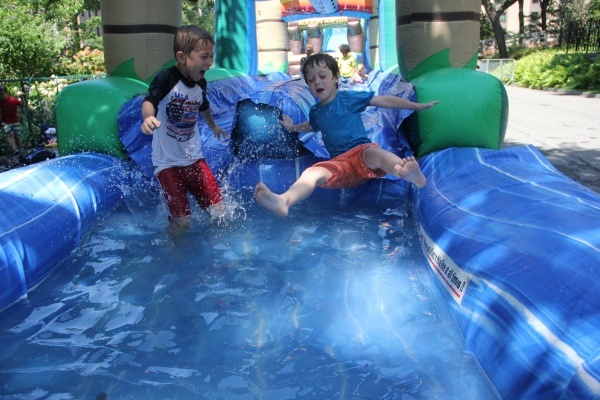 Our younger campers enjoy sports, creating art, making music, gardening and water play in our aquatic area. 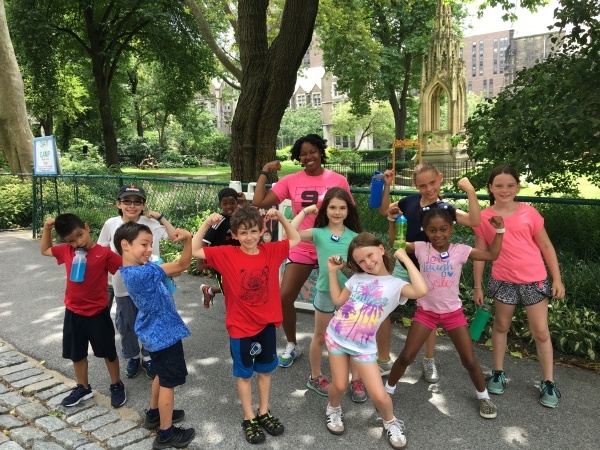 Our older campers have a full day of ACTivity including sports, crafts, nature, challenge courses and more. 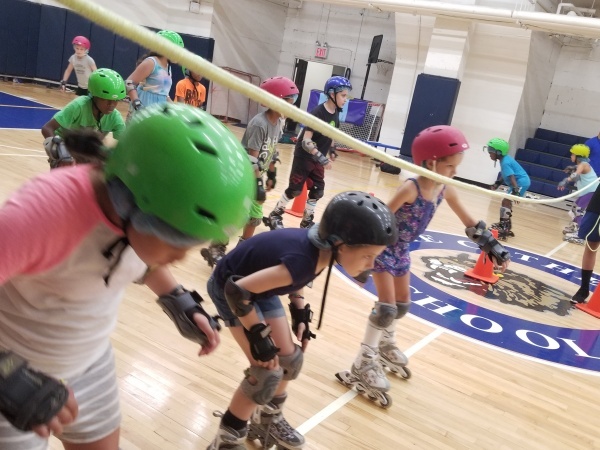 Our oldest campers share in the decision making process, embrace new experiences while enjoying all of the other programs and experiences that A.C.T has to offer. 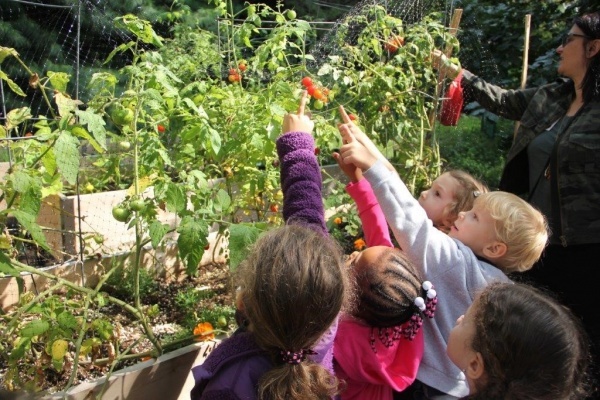 Fun-filled out of town trips for groups first grade and up round out the A.C.T experience. 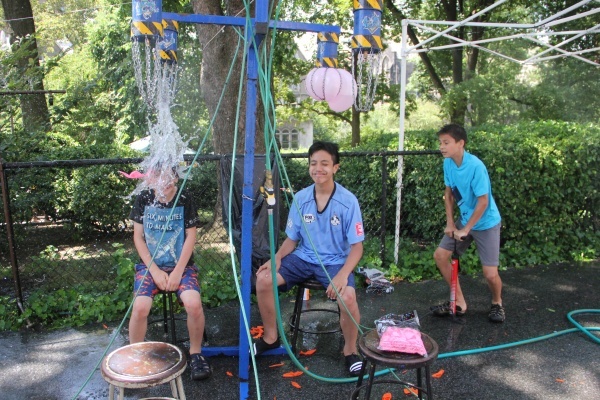 Two carnival days, Aqua days with water rides, assemblies and guest performers add a sparkle each camper’s eye. Two private playgrounds, lawns, water splash area for preschoolers. Two large indoor gymnasiums, art studios, and performing arts space. Vehicle drop-off and pick -up area. Extended day offering in the morning and afternoon. Spacious facility, event planning, setup and cleanup included. Use of equipment, food, and attentive helpers. 2 hour parties with an option for additional hours. Additional services for an extra fee may include: bouncy castle, beverages, cotton candy, carnival games and other options. Use of equipment, food, and more. Commemorate milestones and celebrate special days with A.C.T at the Cathedral of Saint John the Divine. Book an A.C.T Divine Party for your child, and take advantage of spacious facilities and attentive staff. Our team will help you plan your event, arrange fun activities, set-up and cleanup, leaving you the chance to enjoy every moment. Choose from various themes. Bouncy Castle, food and beverages are available for an additional fee. Contact us to plan your party today! 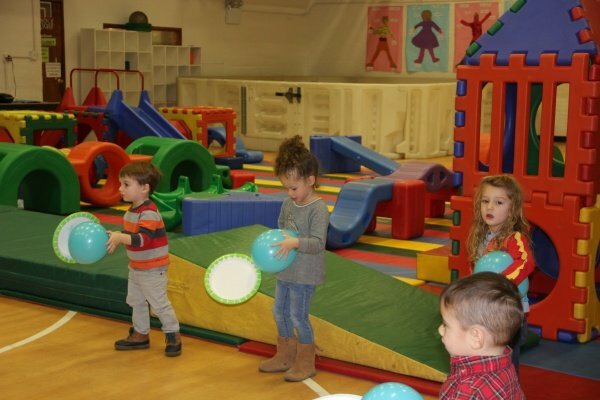 Preschool Mat Parties Let your little one explore, and jump to new heights of fun. 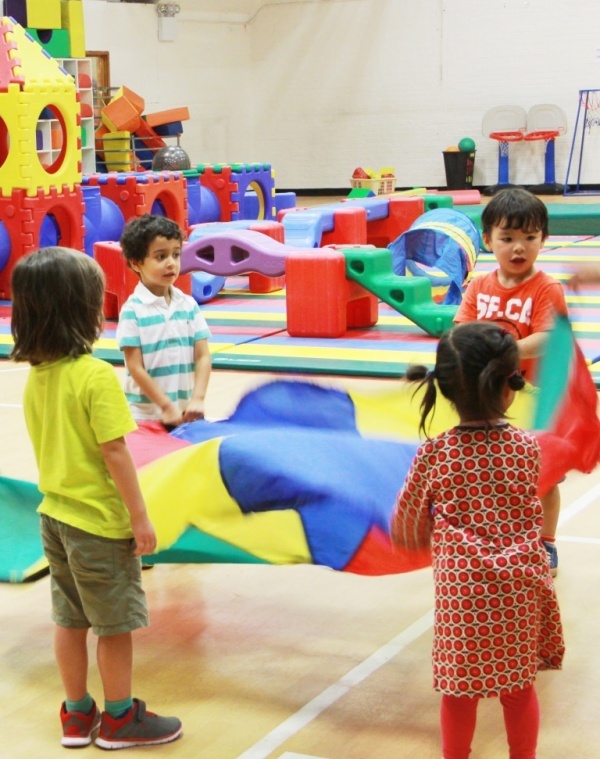 Preschool Mat parties include the use of the gym, mats, climbing equipment. Party staff assists sponsor in planning and monitoring schedule of events and set-up. Tables and chairs are provided. Activitiy Options include: parachute games, circle time with story and songs, and tag games. Party assistant supervises children with sponsor and organizes small group games. NEW Teckno Party: Our spacious gym is set up for challenges and games using special gear and equipment. Run around obstacles and mats as you play laser tag. In a maze of mats, you can catch friends for your team and earn points need for a reward. Try our Wii dance party and aim for the highest score or simply dance along with Michael Jackson or Justin Beaver to learn new moves. How about a Glow-in-the-dark Obstacle course challenge? Sports Party: Bring all the sports live action from a stadium to your celebration! 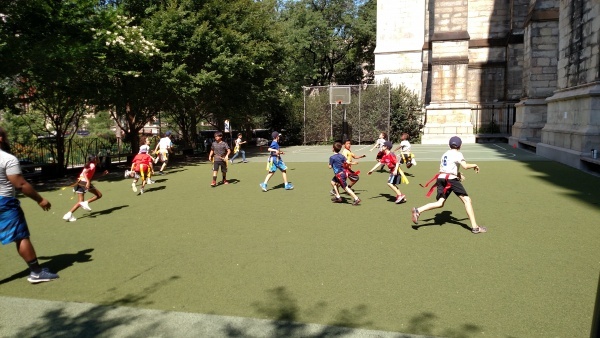 Sports parties feature basketball, floor hockey, soccer or Ga-Ga games, a 9 Square in the Air and wall traverse climbing. 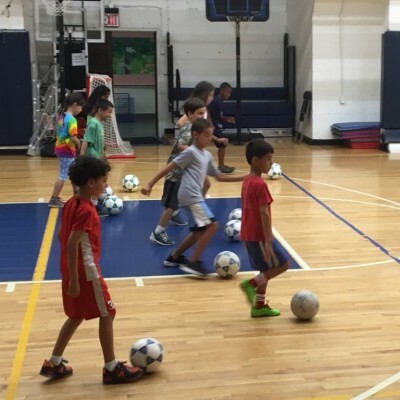 Use of space, limited equipment, and more will be provided along with up to two select sports activities for your child's desire. 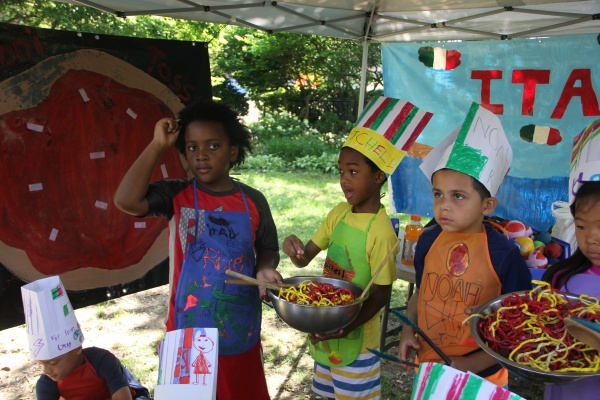 Create the magic and festivity with an Art Party. Special arts and crafts projects are led by the art staff based on your child's interest. 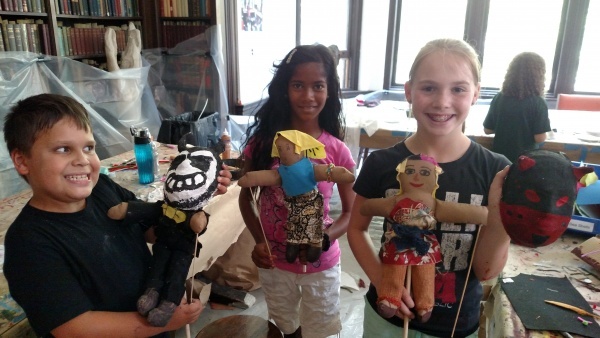 Choices include: sculpturing with clay or Sculpey, fashion fun, jewelry design, collage and water color, picture frames, Peg art, Loop art and wood craft arts. Use of classroom and gym space, limited materials, and more will be provided. Let your child create the life of the party! Celebrate good times with our spacious indoor and outdoor facilities. Our gym space can accommodate for up to 40 guests including children and adults. Tables and chairs are provided with table covers, sound system is available upon request however, and guests may supply their own music with MP3 players. DVD player and monitor are available for presentations. Your party plans are personalized. From planning to setup and cleanup, we work to make every event easy so you can relax, enjoy and have wonderful memories. Choose private indoor or outdoor locations on the Cathedral's beautiful campus. Saturdays: 10:00 a.m. - 6:00 p.m. (10:30am-12;30, 1-3:00pm or 3:30-5:30p.m.) Two hours is the minimum, but we can customize your party schedule to meet your needs and add extra time. Check our calendar for days on which A.C.T is closed or contact us to discuss your scheduling needs. Easy ten minute parking for pick-up and drop-off of guest and party supplies. Payment: Full payment is due at time of reservation. Minimum of two hours per party. Gratuity not included. Our facility can accommodate up to 40 participants.